Steel wire braided hoses can be used to transport petrochemicals and hydraulic fluids under relatively high pressures and temperatures. 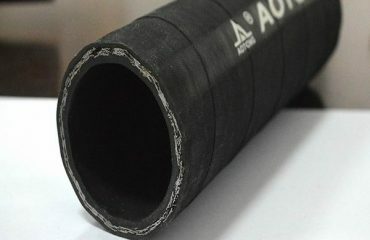 In addition, oil-resistant wire braided hoses can provide flexible connections between steel pipes in hydraulic systems. They can find their applications in the fields of mine hydraulic bracket, automatic hydraulic systems of oil field exploiting machine, mine projects and other industrial sectors, especially used as jackhammer component. It can withstand in the temperature of -40°C to +100°C, and the maximum temperature can be +125°C. 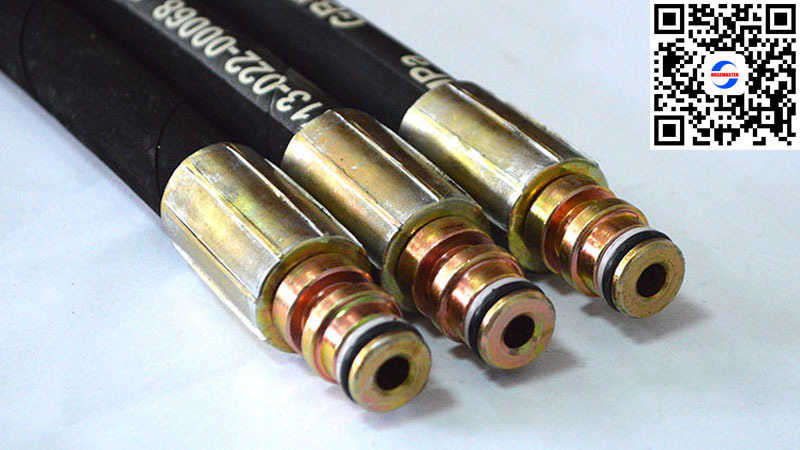 Also the surface of steel wire braided hydraulic hose can be two types including smooth and fabric surface. 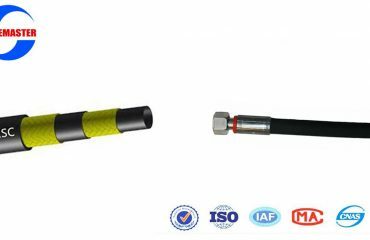 single steel wire braided hoses: The single wire braid hydraulic hose is made of oil resistant synthetic rubber lining, single wire braid reinforcement and oil, fuel and abrasion resistant rubber cover. double steel wire braided hoses construction: It is made of synthetic rubber lining of oil resistant, two wire braid reinforcement separated by synthetic rubber layer, and synthetic rubber cover that is oil, fuel, weather and abrasion resistant.